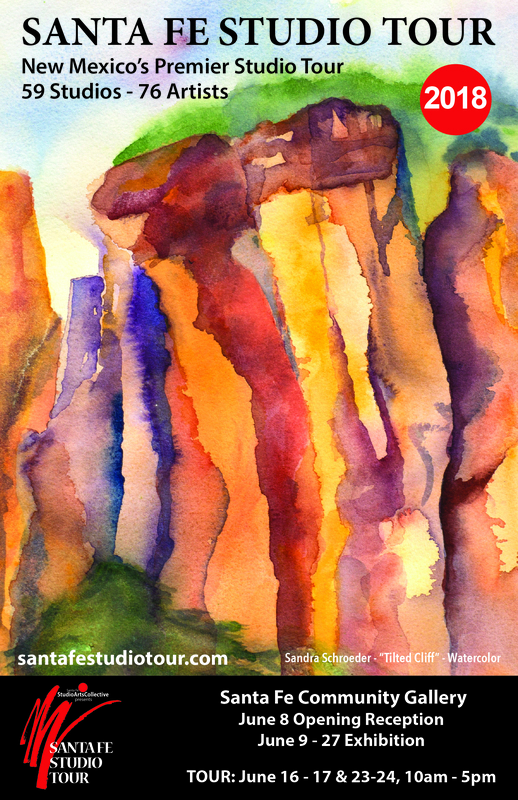 I am very pleased to announce that one of my watercolors has been selected for a business poster (see below) as well as a collectors high quality print (18 by 25 ) on sale at santafestudiotour.com. 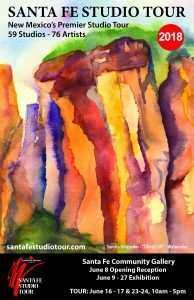 Also consult the website for information regarding the Gallery Shows and actual June studio tour (maps and 76 artists work and studios). The opening reception is at the Santa Fe Community Arts Gallery (201 West Marcy Street) on June 8th from 5 to 8 PM.